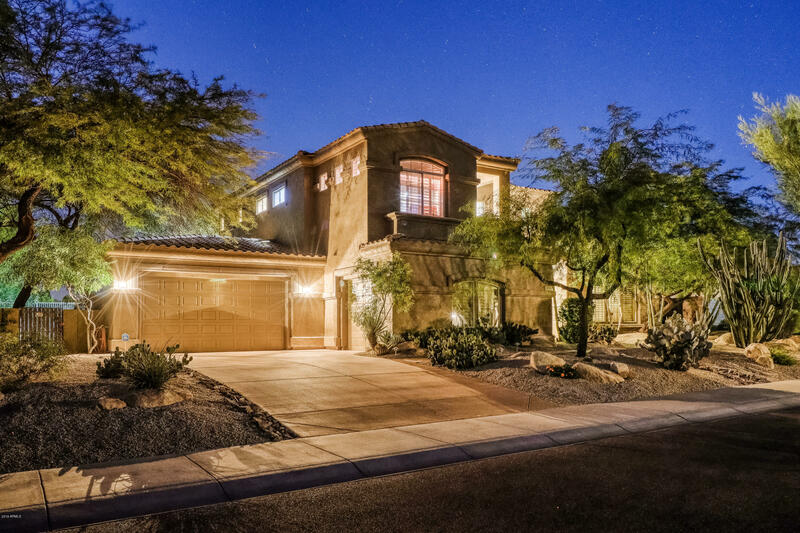 All SONORAN HILLS PARCEL F homes currently listed for sale in Scottsdale as of 04/23/2019 are shown below. You can change the search criteria at any time by pressing the 'Change Search' button below. "Very rare find in the highly coveted ''Sonoran Hills'' community! Situated on a very special lot - offering privacy with the backyard adjacent to a beautiful wash! Open and spacious floor plan featuring the incredible chef kitchen, recently updated to the popular look of today! Spacious family room, (flex) living and dining room, and a downstairs en-suite bedroom! A bonus room upstairs embraces the two en-suite bedrooms, along with the large master with updated bath and huge walk in closet! "